Your tour starts on State Street, across from the Old State House in downtown Boston. Meet your guide and set off on your Freedom Trail walking tour, which introduces you to the charming atmosphere and interesting history of this historic section of the city. First check out the Old State House, and then compare it with the New State House before continuing past Faneuil Hall, a marketplace and meeting hall since 1743. 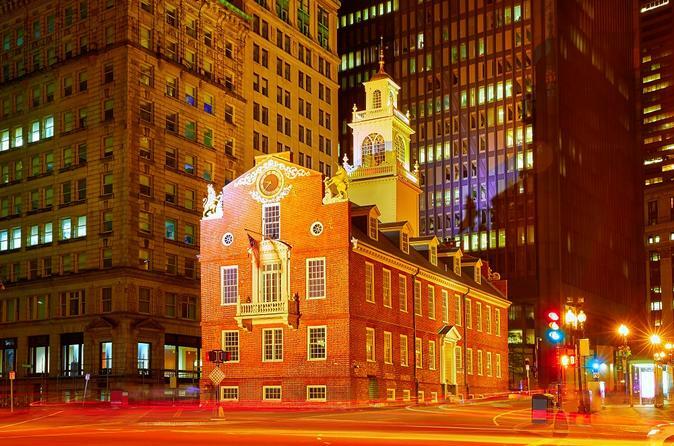 Walk to the Boston Massacre Site and learn the story behind the memorial, and admire the architecture of Park Street Church and King's Chapel. Then make your way to the Old South Meeting House, proceed through the Old Granary Cemetery, and visit Old City Hall. Pass the First Schoolhouse Site and the Old Corner Bookstore, which was once a meeting place for authors like Ralph Waldo Emerson and Charles Dickens. Your tour ends with a stroll through Boston Common.